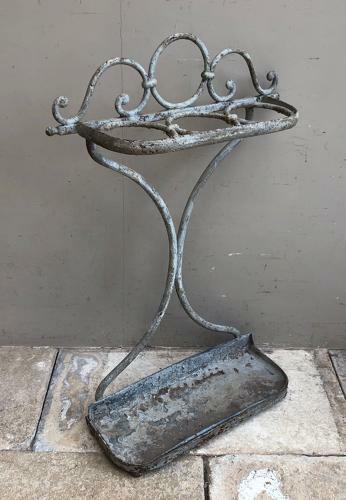 Early 20th Century Ornate Iron Umbrella Stand (great for sticks too). It has its fantastic original paint & is unpolished. Completely Original. Good solid sturdy piece still great for doing its job and looking very decorative while doing it. I think if I can find a large box this can be posted which is much less than courier costs...Parcel Force £20.